Welcome to Royal Game Guest House. 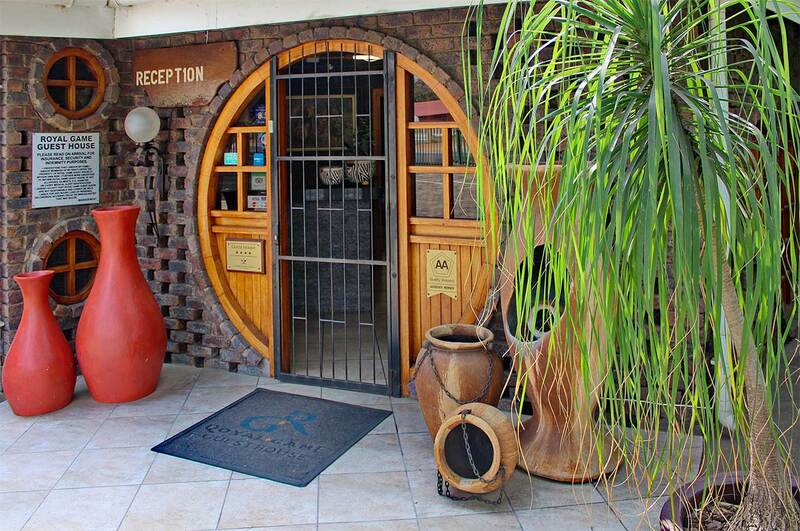 The guesthouse is 2.5 km from the Phalaborwa gate to the Kruger National Park. We are also 3 km from the renowned Hans Merensky Golf Club. The guesthouse has been awarded a gold accreditation by SATOUR. In May 1998 the guesthouse was awarded "The Guest House in the Northern Province" by the national newspaper, Rapport. We were awarded a 4 star grading from the "Tourism Grading Council of South Africa" in November 2003.